Although you might live in a safe neighborhood and never expect a break-in, crime can still happen. In addition, house fires, burst pipes and carbon monoxide leaks are impartial to crime rates. These domestic disasters can and do happen every day. You can protect your property and your family – whether you are home or away – by having a top home alarm system installed. 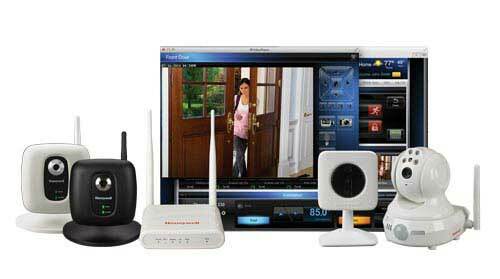 When shopping for yours, consider the following five features included with all of the best modern security systems. Monitoring means your system is connected to a central security dispatch center. In the event of an alarm, the proper authorities will be notified to ensure a quick response, and you won’t have to worry about making the phone call yourself. This seems like a no-brainer, but sensors include all types of devices placed inside and around your home to sense not only break-ins with motion detectors, but also dangerous carbon monoxide leaks, smoke and water. A thorough home alarm system will also include strategically placed cameras that allow you to safely view people approaching your home from outside, parking across the street or even certain areas of your home’s interior, if you choose. Good security companies also offer a medical alert feature which provides both peace of mind and assistance. With medical alert capabilities, your home will be equipped with alert buttons throughout the space and individuals can even be given alert buttons to wear. If an individual falls or experiences another type of medical emergency, help is as close as the nearest alert button. A smart home security system not only sounds an alarm and notifies the authorities in the event of an emergency, it can also act as a central hub for controlling your home’s vital systems. With a smart security system, you can monitor the temperature, locks and lights inside your home from anywhere. This means you can ensure your home remains an optimal temperature regardless of weather changes that happen while you are away. You can also wire lighting into your system to turn lights on and off while you are away to make it appear as if someone is actually home. With an expert assessment from a home security professional, Arpel Security Systems can help you determine which system, features, ongoing support and monitoring package is right for you and your home’s unique needs. Contact us to schedule a consultation today.